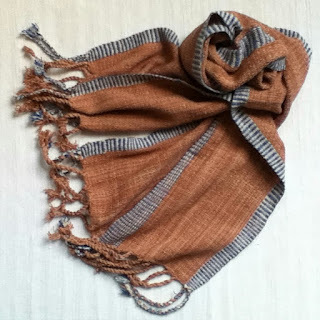 TAMMACHAT Natural Textiles: "Tribal Textiles" in a World of "Fast Fashion"
"Tribal Textiles" in a World of "Fast Fashion"
I was recently asked what I thought about "the sudden interest" in tribal textiles. Yet, my interest, and I'm sure that of many people, was ignited when first I was exposed to them. In my case that was about 30 years ago in Guatemala. Tribal textiles generally exhibit an unexpected use of form, colour and texture; conversely, mainstream fashions are watered down to appeal to the widest (not wildest) market. Tribal textiles are so inherently different than the mass produced fashions that fill shopping malls that anyone who looks beyond the everyday and the proscribed could not fail to be intrigued by them. Of course, another important aspect of their appeal is the growing trend towards ethical consumption. Consumers want to have their cake and eat it, too, that is they want to shop their way out of the global crises we find ourselves in environmentally and economically after more than 50 years of expanding, industrial consumption. Tribal textiles fit the bill – because they can be traced back to a time when societies lived in a greater harmony with nature and when production itself was more authentic, that is, more human and less industrial. 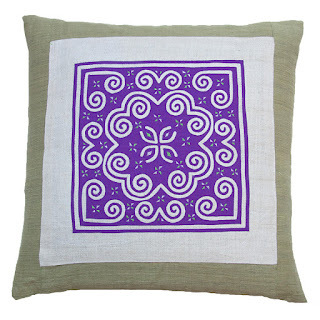 At the same time, tribal textiles' apparently primitive styles are consistent with the DIY trend that has been popular for a generation already. When the understated elegance and expert tailoring of high fashion, well enough haute couture, were supplanted by art students' creations of cast-offs re-assembled into layered collages, the audience receptive to tribal textiles expanded. But, what does this mean for the women who produce these textiles? Unfortunately, it might not mean much. The current world of "fast fashion" decrees that styles come and go faster and cheaper than a traditional textile can be produced! 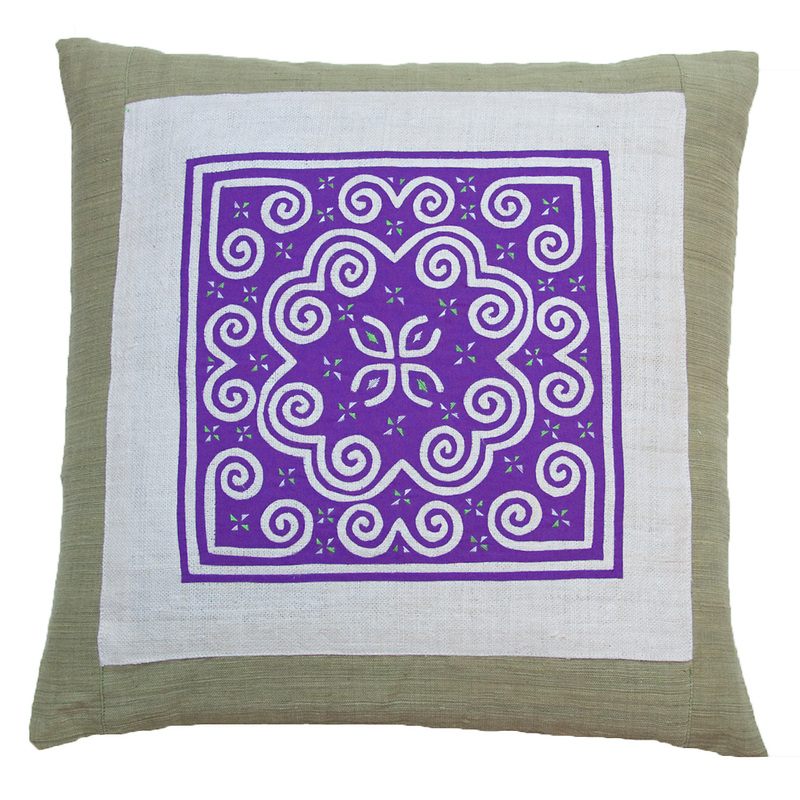 Traditional textiles, regardless of their cultural origins, are produced by hand. While many of the women in the Global South who make them might consider $5/day a living wage, it may take weeks to finish a piece. The end result is slower and more expensive than almost anything produced in a factory, especially when you consider the follow-on costs of sourcing, shipping, labelling, marketing and retailing a product that is produced in limited quantities. Economies of scale do not apply here. Consequently, many tribal textiles are being bought used and sold by the bale. 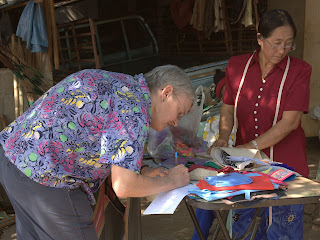 A trip to the backside of a large market in a culturally diverse area (such as in Northern Thailand) will reveal truckloads of such textiles. But how is this possible? The saddest reason is that armed conflicts increase the availability of such booty. Loads of pre-owned textiles came out of Guatemala during the genocidal years of the 1980’s, just as loads of used tribal textiles are coming out of Burma now. Many of these have probably been trans-shipped from China, Tibet or who-knows-where. These pre-owned textiles are then reworked in nearby sweatshops into designs that will have greater appeal outside the original cultures that they were produced by and for. Not only does this provide incomes to merchants rather than artisans, it also robs young people of their cultural heritage by exporting rare patterns rather than preserving them for future generations. Some fair traders are doing business in a better way, of course. They establish relationships with artisans who are still producing textiles in traditional ways, whether with backstrap looms, with natural dyes and fibres, or with intricate needlework – sometimes with all three. The products so produced are sold in limited editions and at higher prices, because paying fairly for intricate handwork is never cheap, even when the artisan has a much lower cost of living. However, there will always be for a niche market for those who understand the value, as well as costs and the limitations, of artisanal goods. Here at TAMMACHAT, we buy our textiles directly from the women that make them, putting money into the hands of artisans who are working to sustain their families, their communities and their cultures. We spend time together discussing how to best use their skills for our markets, without damaging anyone’s environment. Whether it’s a scarf woven on a backstrap loom, a cushion cover decorated with traditional appliqué or a bag that combines both of those skills, we know that the artists who made them were not exploited, nor were their cultures appropriated. We bring these to market in tens and twenties, rather than tens of thousands. Once a year we return to Southeast Asia to replace last year's treasures that have found new homes. These tribal textiles are neither fast nor cheap but they are fairly traded treasures for those who can recognize the difference.